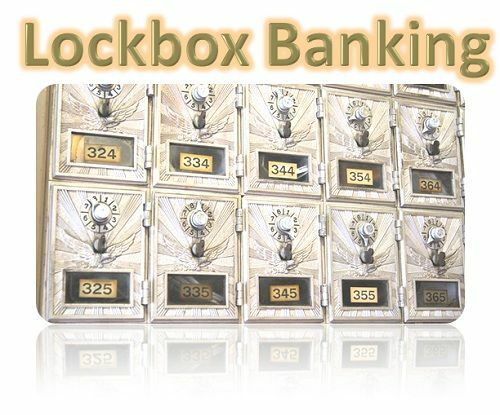 Definition: The Lockbox Banking is the service offered by the commercial banks to the companies wherein, the payment made by the customers is directed to the special post office box rather than to the company. Under the lockbox banking system, the company opens up a lockbox account with a bank, which is generally at the central location, easily accessible to the bank. The box is emptied several times in a day, and as the money receipts are collected, the bank deposits the same into the company’s account and inform about it to the company via electronic data transmission. Through lockbox banking, the company’s burden of accepting mails and the payments from the customers has reduced drastically. And with time to time updations from the bank, a company can put money in the work as soon as it is received. But however, there is a fear that the bank employees who have access to the lockbox can commit a fraud. The fraud can be in the form of check counterfeiting as the checks in the lockbox contains all the information sufficient to make a check counterfeit. To overcome this limitation, the company must choose a bank which they trust and should keep a regular check on the lockboxes.